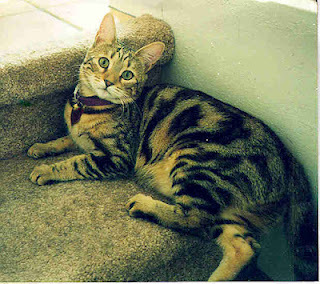 RubyGlow was a Bengal Leopard who lived with our friend RubyNorma in Scottsdale. She is one of Ruby's soul-kitties, now in Rainbow and the mother of many champions. She never got to meet Garrett, but Ruby says "Can you believe that RubyGlow and Sir Magickal One still keep in touch with me? Thank YOU God for this precious gift!" 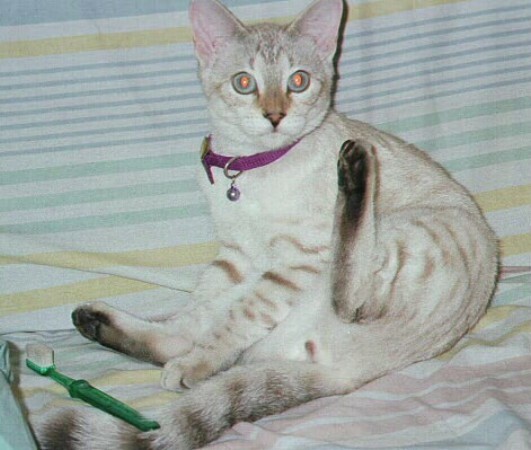 RubyGlow was born on November 6th, 1997 and passed on October 20, 2009. She was rescued from terrible conditions from an unscrupulous breeder of Bengal Leopards. 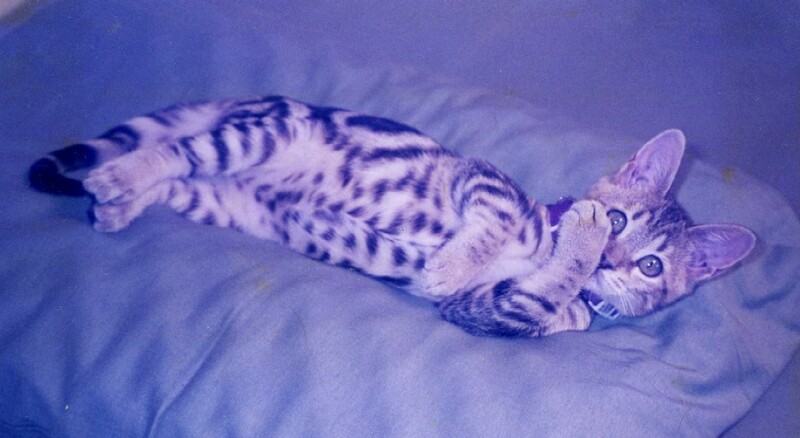 Pictured above: "our first Bengal Leoopard litter given to us by RubyGlow, now in Rainbow. The white girl staring at you is Cinderalla Snow. She is all grown and each moment is a gift I share with her." 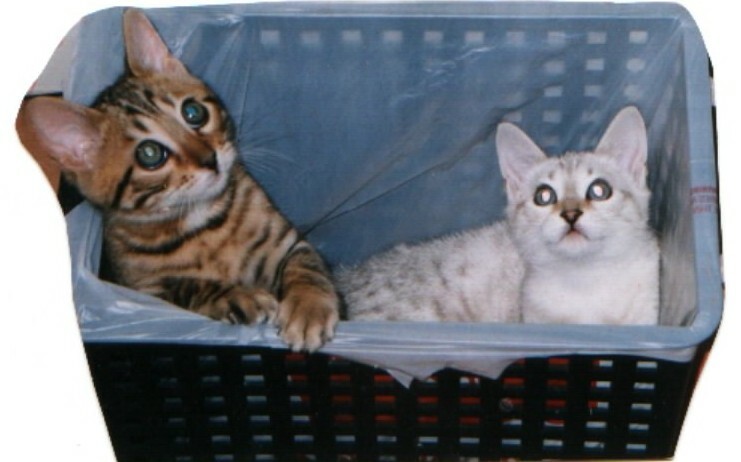 "Here are two of the kittens born to RubyGlow Bengals, when I was a pro-breeder. My precious RubyGlow, now in HEAVEN, is their mother." 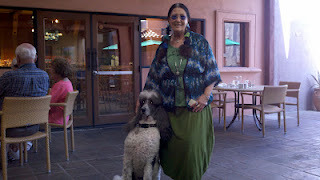 Ruby is shown here with Garrett at Breakfast with the Dogs at the Lodge on the Desert in April 2012. Ruby is Dr. RubyNorma Yanez, CH.t. Her occupation is "Therapist / Healer / Author / Researcher / Animal Rescue / Entertainment." She writes a BLOG called NormasArk.